We’re pleased to welcome PixelWho back to TimeGate! Artist Nathan Skreslet and manager Ly Cao have attended TimeGate the past two years and have shown off their artwork at a fan table; this year we’re excited to be able to feature them as guests. 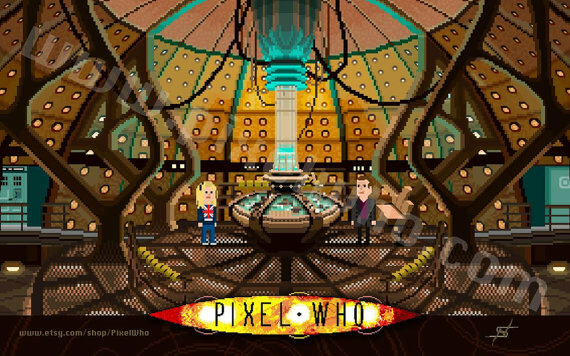 PixelWho seeks to represent the entire history of Doctor Who as a series of 8-bit characters. They recently announced that they will be creating a new storyline arc (120 levels!) of the wildly popular game Doctor Who: Legacy called “Bigger on the Inside” which launched March 2015. Welcome back to TimeGate, Nathan and Ly!